Hi Egos, when it's too cold to go outside and the wanderlust comes over you it helps to think of all the places that you would like to see. Since I am a fan of making lists I usually write all those places down in hopes of going there for real some time. One of those places is this hotel in Singapore. I mean come on! You get so swim so close to the edge that its as if you're floatingg through the air. Let's also ignore the fact that there probably is a lot of smog there :D A girl has got to have some big dreams. I also want to climb up the hills and get as close to this hollywood sign as possible. It's one of these things that totally inspire me whenever I see it on TV. 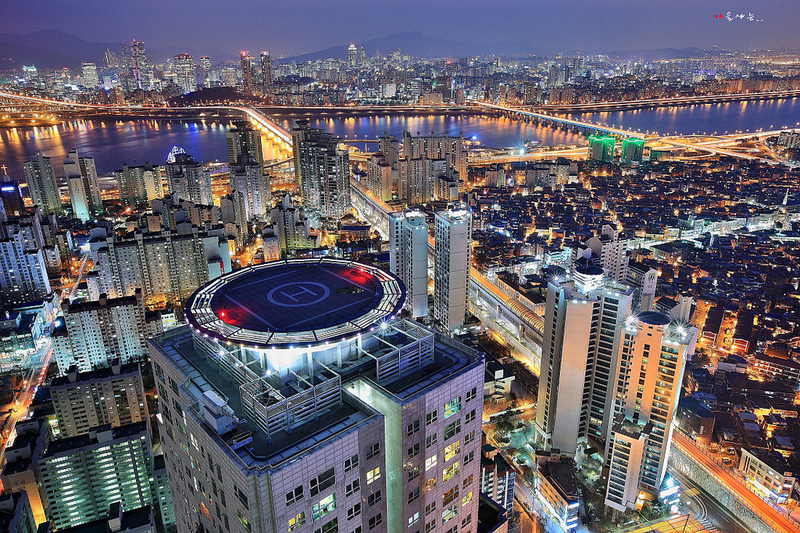 This is Seoul, capital of South Korea. I so want to go there too. I mean have you ever had Korean beef? No? Then that's what you should eat asap! That dish made me order beef everywhere I went for a month just to realise that there is no substitute. What are some of the places you definitely want to see?